MORIOKA, IWATE PREF. 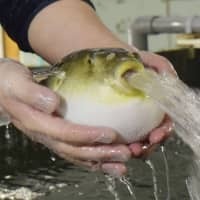 - A hotel operator in the Tohoku region is one of a small number of companies that have launched businesses in depopulated rural areas to raise torafugu, a high-quality variety of the poisonous puffer fish prized as a delicacy in Japan, using tanks filled with hot spring water. Torafugu raised in this manner, however, are free of the toxins that often require the fish to be prepared by licensed chefs, and also grow much faster than those farmed at sea, according to hotel chain Akita Kyoei Kanko in Akita Prefecture. The company started offering full-course meals based on the tiger puffer fish, including thin slices of sashimi, the most popular serving method, to guests in December. After purchasing a hotel in Iwate Prefecture in September 2017 that had closed more than a decade ago in the town of Shizukuishi, the company set up 10 tanks that can hold about 10,000 liters of water. The company then began farming the fish in February 2018, starting with 4,000 juvenile puffers. It said water from the local onsen (hot springs) is rich in minerals and suitable for cultivating this kind of fish. 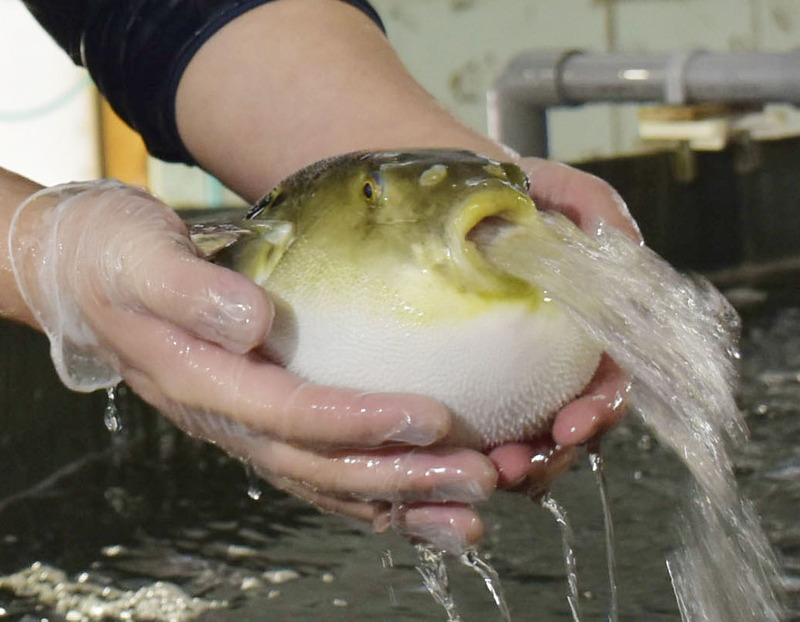 The onsen water helps the tiger puffers grow even in winter and lets the chain ship them in about a year, or roughly six months earlier than their sea-farmed counterparts. It opened the farm with the support of Yumesozo, a company based in landlocked Tochigi Prefecture. Yumesozo invented the technique of cultivating puffer fish in onsen water to help revitalize depopulated towns and villages. Fugu is one of Japan’s top delicacies and usually contains a deadly neurotoxin in its liver and other organs. But the fish farmed by the company at its facility in Shizukuishi are nontoxic because they are not raised on seaweed and shellfish, which are thought to be the origins of the poison. Japan has hot springs in all 47 prefectures, with the total standing at more than 27,000 as of fiscal 2016, according to the Environment Ministry. With franchise contracts with Yumesozo, more than 10 other companies have started using onsen water to farm torafugu at sites including a former elementary school in Miyazaki Prefecture, in Kyushu.